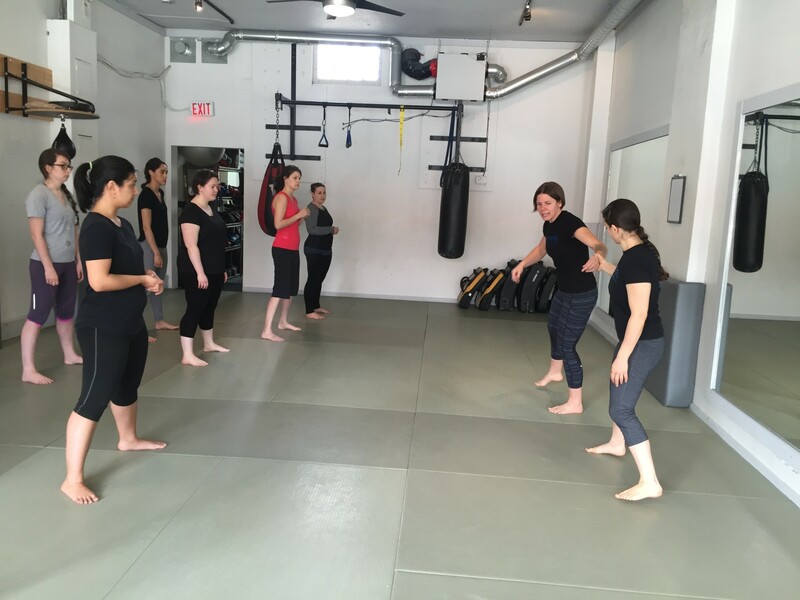 Vancity Buzz hosted a series of free self-defence classes for women at Elements Academy of Martial Arts on Sunday. The classes had an intimate setting with anywhere from 13 to 17 people taking part in each session. However the demand was overwhelming, with spaces filling up in a matter of hours, and more than 100 people opting to put their name on a waitlist in case of cancellations. 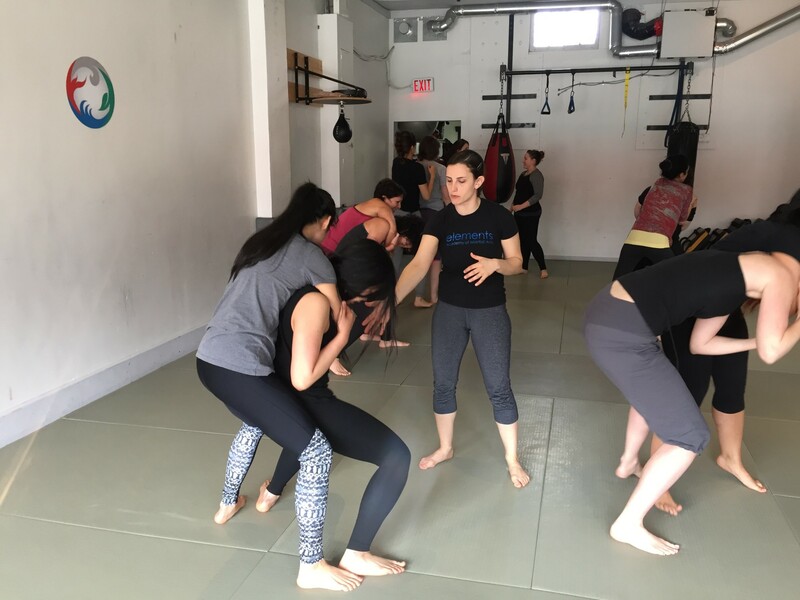 The women participating in the classes learned how to get out of chokeholds, frontal grabs, as well as grabs from behind, and were provided with detailed step-by-step instructions to review at home. Heather Orr, a professional model, was one of the women who signed up for the workshop. She tells Vancity Buzz that she spends a great deal of time alone with male photographers and she wants to learn some defensive techniques just in case something goes awry. “I’ve always felt like it was important to take a class like this but never got around to it – to be able to defend myself if I needed to,” she says. The classes at Elements Academy of Martial Arts proved invaluable, says Orr. “I hope to bring a large group of models to do something like this in the future. Young girls to middle-aged women can all take care of themselves in a bad situation, especially in a city where people go out on a Saturday night and sometimes are alone and they just want to be able to feel safe,” she says. Elements Academy of Martial Arts started hosting women’s self-defence classes sporadically five years ago. 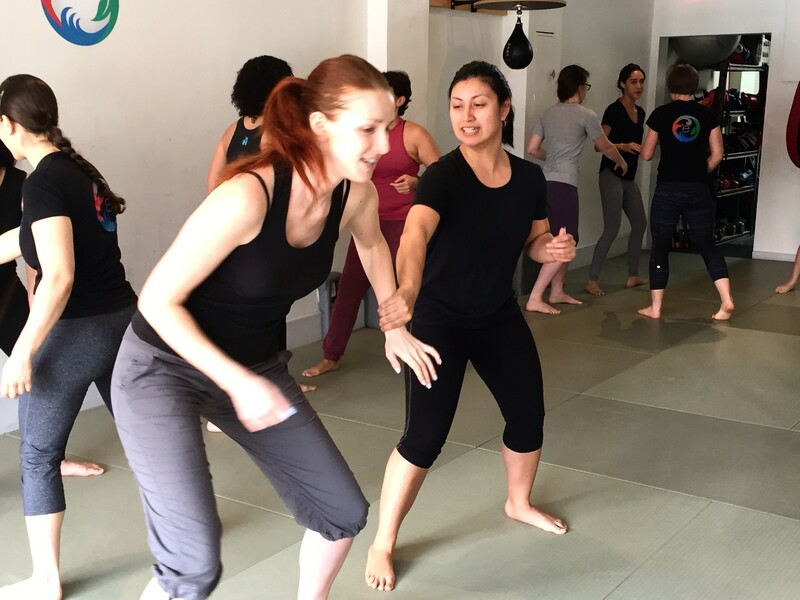 Director of Administration and self-defence class instructor Mysha Dewar-McClelland told Vancity Buzz that the demand eventually became strong enough to start hosting monthly sessions. Dewar-McClelland says it’s not just about responding to an increase in assaults in Vancouver; taking self-defence classes is about empowering women to take care of themselves if they need to. “While I want everyone to take safety seriously and be accountable for their own personal safety, I also refuse to buy into a culture where women should feel responsible for other people’s actions against them,” she adds.